A colourful picture for Christmas. The kit has large scale black and white charts printed 10 stitches to one inch with key on an A3 sheet. 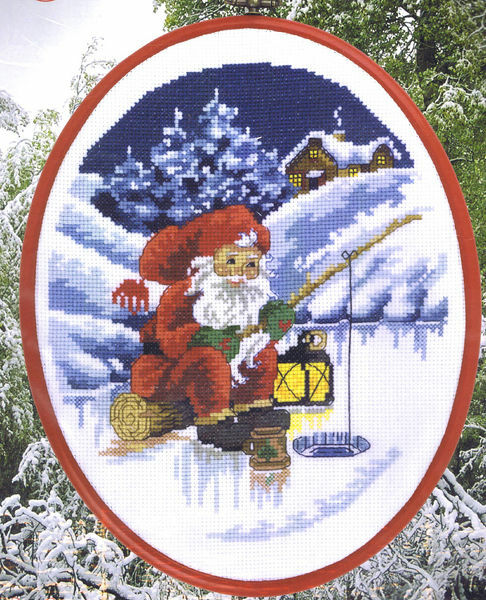 The pattern is worked in cross stitch and backstitch using 20 shades of stranded cottons. The plastic oval stretcher frame has a hanging hook but no glass or backing.